Introducing a New Range of Low Profile Radio Mic Straps and Accessories. Our 25mm super-soft, stretchy, reuseable discs are a perfect addition to your Kit Box. With colours matching skin tones they can be used under semi-transparent garments. Compatible with URSA Sticky Circles & other stickies available on the market. Pack Contents : 15 Soft Circles (5 x Black, 5 x White, 5 x Beige) & 30 URSA Sticky Circles. Stretchy fabric allows allows the fabric to be wrapped around mounts to provide wind protection. Multipacks contain 5x White, 5x Black, 5x Beige & 30 Stickies. Single Colour Packs contain 15 of one colour & 30 Stickies. Available colours : Black, White, Beige & Brown. 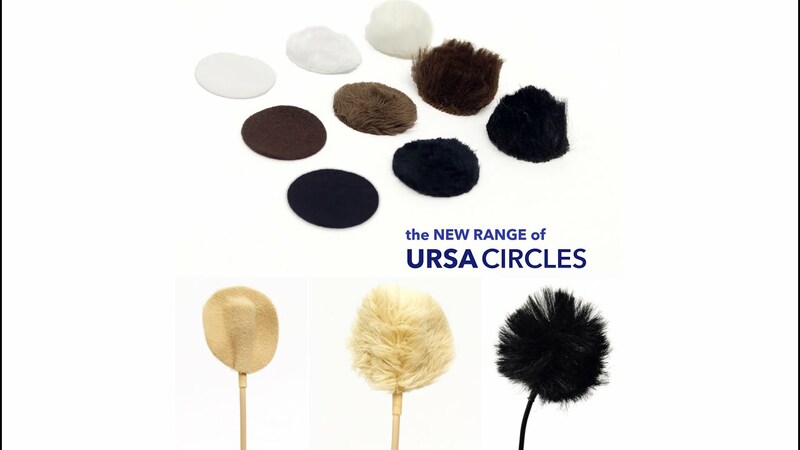 25mm diameter circles, re-useable & super soft. Low profile lav cover creates less of a lump under costumes. "Having great results with COS 11's with URSA Tape and Soft Circles. Everything is in play, including the Belt Pouch. Cheers URSA!" The URSA Calf Strap measures 47cm. Has Gripper to keep it from slipping around the Calf & Ankle. URSA Straps are 1mm thick, comfortable, low-profile straps. 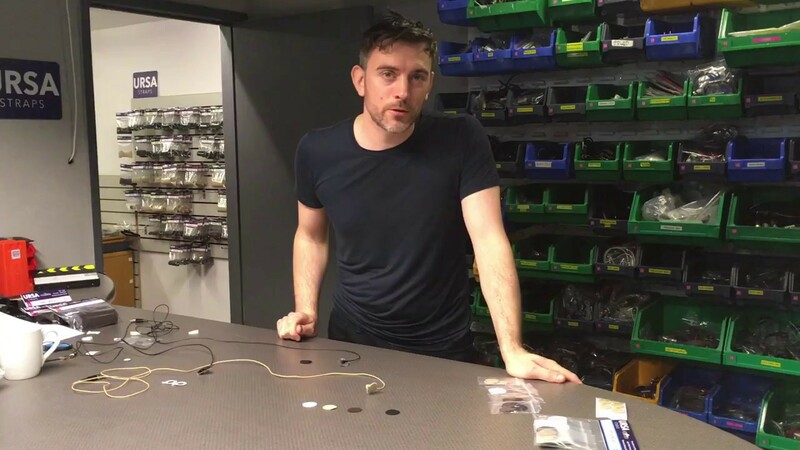 Using New Fabric Technology to create a unique bonded fabric which hook Velcro can grip to at any point. Big Pouch to suit all units. Introducing the new URSA Back Strap. This strap allows you to securely rig microphone or IEM packs to the centre of back, between the shoulder blades. Medium size fits a 36-40 inch chest and Large fits a 41-45 inch chest. Transmitter can be rigged with the aerial facing down or up. Machine Washable with detergent at 40 Degrees. Hang dry or Tumble Dry. URSA Straps use certified OEKO-TEX hypoallergenic fabric and gripper. Our new URSA MiniMounts are a slim, low-profile mount designed to be rigged where larger mounts cannot go. They are made from a hardened plastic which does not deform or snap under pressure. Each mount is hand finished to get the smoothest surface to allow fabric to glide across silently. MiniMounts are available in four colours & in six models designed specifically for the Sanken COS11, DPA 4060, 4071, 6060, Sennheiser MKE1 & MKE2. URSA Thigh Straps come with a unique polyurethane gripper which keeps them from slipping down the leg. There are two versions of Thigh Straps available. You can choose a Thigh Strap with a standard vertical pouch or a horizontal sideways pouch. The sideway pouch is useful for hiding small transmitters under mini skirts.